Are you gluing and attaching fabrics, textiles, vinyl, carpets, veneers, curtains and blinds, leather and suede or plastics samples to pattern, sample or swatch books, show cards, wallets with promotional card with samples, folders or polystyrene cassettes. We have a Tecbond glue stick covering off your application. Tecbond Hot Melt or Low Melt adhesives, are available in 12mm, 15mm or 43mm diameter glue sticks which offer very high performance, high output, a range of open times to suit your application. 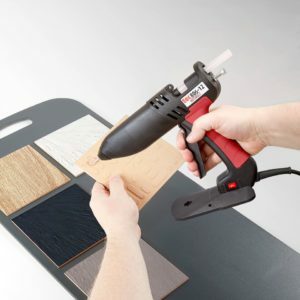 Tough flexible adhesives, which are suitable for bonding fabrics, card, polystyrene, plastics, wood and difficult to bond substrates. Excellent adhesion too difficult to bond fabrics and UV varnished and laminated boards. TECBOND glue sticks are a very versatile product that will provide tough durable bonds on a wide range of substrates. 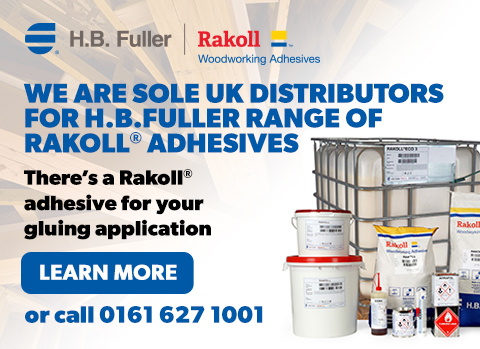 We also offer a range of water based and bulk hot melt adhesives, EVA, PVA or co-polymer based from H.B. Fuller for covering larger areas or larger volume production runs.